Video games nowadays tend to flesh out their characters and worlds a lot more than they did back in my youth. Still, there was some definite appeal to trying to piece together what little background the early games did give us. With the original Final Fantasy, for instance, we’re given brief glimpses of the world’s history through the game itself, and the Nintendo Power Strategy Guide added some more. We learn that the Lufaine (called the Lefienish in the English translation at that point) had an advanced civilization, complete with airships and a floating sky castle, until the Fiend of the Wind destroyed it 400 years previously. The town of Lufenia survived, but never regained its previous technological level. Five Sky Warriors left in the last remaining airship to try to track down the Fiend’s master, leaving the ship in the Ryukahn Desert and somehow making it to the Chaos Shrine, where they were transformed into bats. 200 years later, the Fiend of Water sank the Sea Shrine of Onrac, home to the mermaids. The Earth Fiend was beginning to flex his muscles (despite the fact that he was a skeleton) around the beginning of the game, and while the Fire Fiend isn’t due to wake up for another 200 years, she awakens early after the Earth Fiend is killed during the game. Garland, a good knight of Cornelia, is corrupted and joins with the Fiends to create a 2000-year time loop, hence making himself eternal. It’s a confusing story, and I guess it means the Fiends existed for at least 1600 years before the first one started wreaking havoc. Or maybe they had done something before that, but were temporarily defeated. You control the four Light Warriors, who have no lines, no hints of personality, and no origin story. They just show up in Cornelia with some magical orbs. A long journey from WHERE? And how? Since I’ve read 8-Bit Theater, a jokey retelling of the game’s story, I often tend to think of its versions of the characters. Their names were simply their classes, and they each had character traits and back stories. Most were either self-centered jerks or totally oblivious, if not both. The origin most relevant to the plot was that of Thief, who turns out to be the son of the cursed King of the Elves, presumably because his in-game sprite looks kind of elvish. Story wasn’t quite as important to games back then, largely because of a lack of ability to hold that much information, and possibly also so the player use their own imaginations to fill in the gaps. In the first Dragon Warrior, you know your hero is a descendant of the great hero Erdrick, whose tale would later be told in DW3, but not where he comes from. 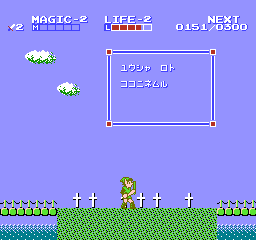 This is only in the English NES and PlayStation versions, however; otherwise it’s Link’s grave, although we don’t know which Link. And to complicate things further, Loto’s grave can be found in Saria Town in the Japanese version of The Adventure of Link. Maybe this is a different Loto, or there’s some argument over where he’s buried. Dragon Quest III starts on Erdrick/Loto’s sixteenth birthday, and he’s apparently twenty-eight or twenty-nine when he dies. I’m not sure what to make of the dates, which I understand were added in by the translator. If those are years for the FF1 world, maybe it means Erdrick died 866 years after the beginning of the time loop, although that’s just a guess. I haven’t played any of the Dissidia Final Fantasy games, and from their look I probably wouldn’t be good at them. Still, they’re interesting to me, as they expand upon the world of FF1. We’re told that Cid of the Lufaine, the one who originally built the airships, was also the creator of Chaos. 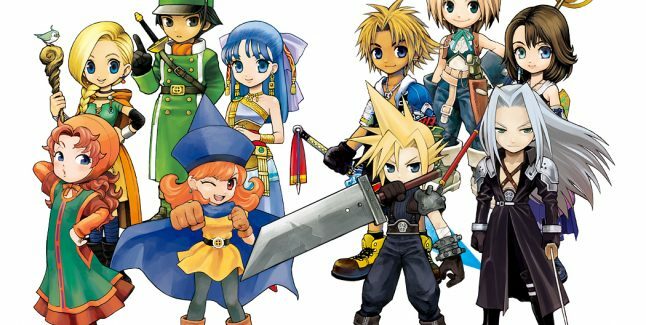 At least one hero from each of the then-existing FF main series titles showed up in the game, with the representative from FF1 being the Warrior of Light, sort of a combination of the Light Warriors who doesn’t know where he comes from and has a quite stoic and single-minded personality. He’s eventually revealed to be a creation of Cid implanted with the scientist’s own memories. His story ends with his walking toward Castle Cornelia in a scene reminiscent of the beginning of FF1. I forget where I saw it, but I think it’s been suggested that he’s either one of the original Light Warriors or he somehow divided into them. Back when I first started using the Internet, when Final Fantasy VII was still in the works and there had only been three previous games released in North America, there were theories about the FF games all taking place on the same world. 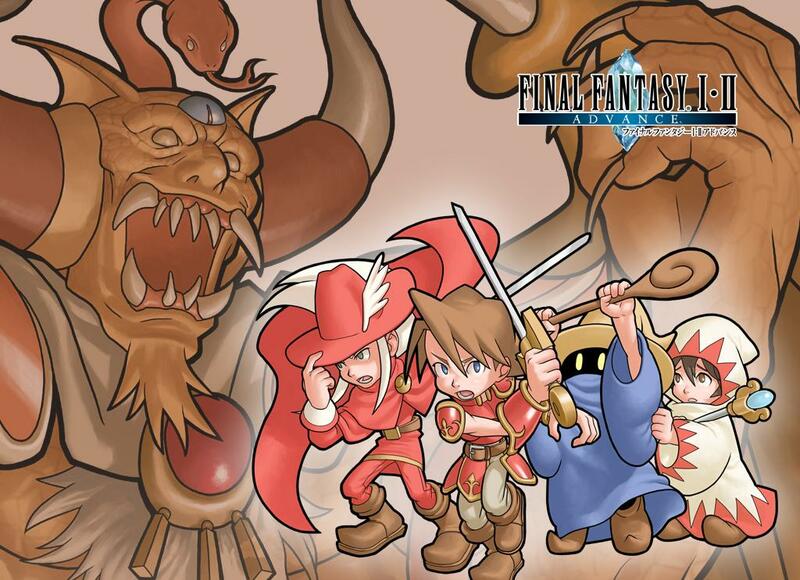 Final Fantasy Tactics lent some credence to these by including places from all of them. Later, however, it was confirmed that they’re all separate worlds, although the Tactics games and FFXII do take place on the same one. There are some hints of connections between them, but that could be because the Interdimensional Rift allows some travel between them. 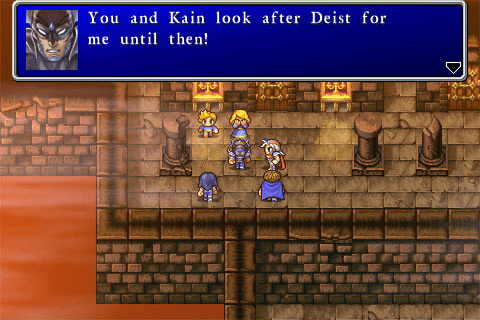 That would, for instance, presumably be how Kain Highwind in FFIV could be the son of Ricard Highwind from FFII. The DQ series turned out much the same way; while the first three games were directly connected, the next three were only somewhat so, and beyond that I don’t think there are any recurring locations. Still, the worlds in the different games are similar enough that there are presumably ways to get from one to the others. Indeed, in more recent installments and remakes, characters from other games frequently make cameo appearances. 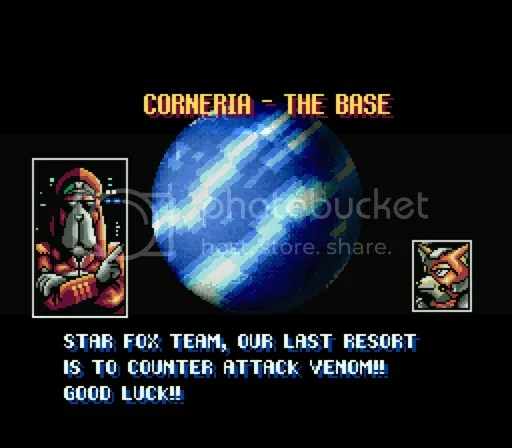 There’s also an almost certainly unintentional connection between FF1 and a totally unrelated game series, Star Fox. The first kingdom visited in FF1 is called Coneria in the original translation, and Cornelia in later ones. 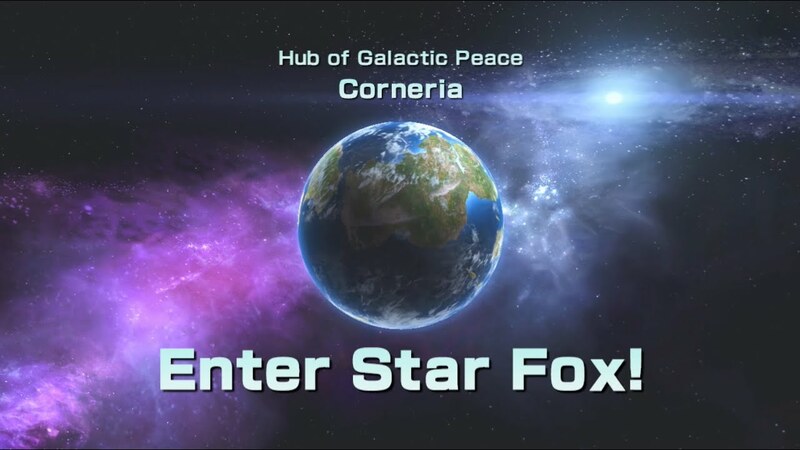 And in the SF games, the homeworld of many of the main characters is the planet Corneria in the Lylat System. This had led to some confusion among fans. In 8-Bit Theater, the FF location is called Corneria, explained as being named after its main export, corn. What I’m wondering is whether there’s any reason why the SF Corneria, described as an Earth-like temperate planet, couldn’t be the same as the FF1 world. Yes, it’s inhabited by anthropomorphic animals, but who knows how many centuries passed in between the two? 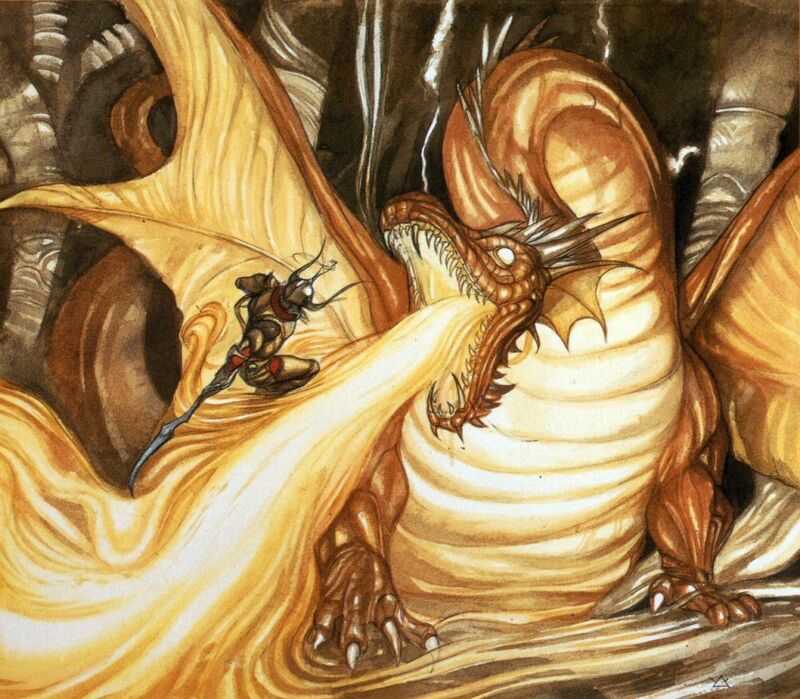 And even though FF1 doesn’t have any talking animal characters other than the dragons, some other FF games do. This entry was posted in Comics, Conspiracy Theories, Dragon Quest, Final Fantasy, Monsters, Video Games, Zelda and tagged 8-bit theater, alefgard, chaos, cid of the lufaine, cornelia, corneria, dissidia final fantasy, dragon quest iii, elemental fiends, elfheim, elves, emblem of roto, erdrick, final fantasy ii, final fantasy iv, final fantasy tactics, interdimensional rift, kain highwind, light warriors, loto, lufenia, nintendo power, onrac, ricard highwind, roto, star fox, the adventure of link, warrior of light. Bookmark the permalink.